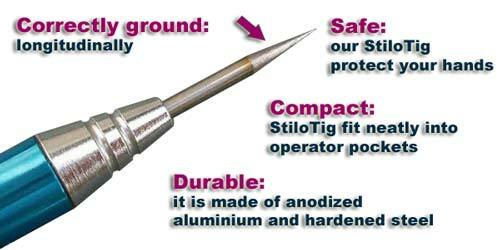 StiloTig is the new hand-held Tungsten Electrode Rotator very fast, practical, that does not need electric power and maintenance. 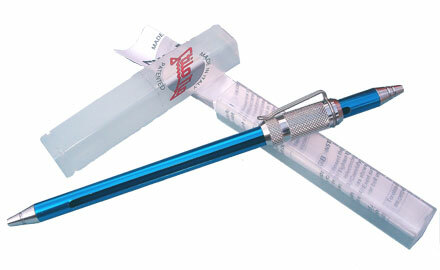 Solid and lightweight, it is made of anodized aluminium and hardened steel. 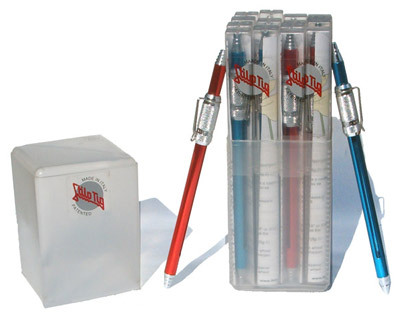 StiloTig is produced in 2 models: blue color for sharpening electrodes from 1.6mm (1/16") to 2.4mm (3/32") x 175mm (7") lenght, red color for electrodes from 3.2mm (1/8") to 4.0mm (5/32").